However, there’s more to cultivating a stellar reputation than the elements outlined above. The second batch of qualities highlighted by Weber Shandwick’s CEO Reputation Survey are below. Some leaders are of the opinion that as long as an enterprise is profitable, things like employee satisfaction and the quality of the working environment don’t matter. However, CEOs with excellent reputations tend not to ascribe to this way of thinking. As we noted in part one, disengaged and demotivated workers tend to perform at a lower standard than their enthused and inspired counterparts. This is costly to an organization in numerous ways – high turnover and low-quality output among them. A company that is a good place to work not only benefits from having an engaged employee base but also often attracts top talent. As the iconic Disney ride asserts, it’s a small world after all – and, thanks to technological advancements, one could argue the globe is getting smaller by the day. The globalization trend isn’t likely to slow or reverse any time soon, and CEOs of companies in all industries would do well to recognize this. Those who operate using outdated business models not only hamper their firms’ opportunities for success but also risk developing personal reputations of being out of touch and behind the times. These associations aren’t something any leader wants, especially in an age of unprecedented innovation. They say not making a decision is a decision in itself, and this pearl of wisdom certainly applies when you’re running a company. A CEO who establishes a reputation for good choices understands that in some cases, taking time to weigh all the options in an in-depth and measured fashion is best for the company. In other scenarios, the clock is ticking and the best leaders can be reasonably expected to do is to arrive at snap judgments based on any and all available information – even if the data is incomplete, outdated or compromised in some other way. In an ideal world, of course, CEOs would always have the time and resources they need to make informed, measured choices. That being said, the reality is that business conditions won’t always be conducive to this type of approach, regardless of factors such as industry type and organization size. When time is of the essence, the best leaders know they need to act accordingly and make the most of what they have rather than succumbing to prevarication. When time is on their side, these individuals should use this to their advantage rather than rushing to arrive at a premature choice. When running a company, it is all too easy to get bogged down in day-to-day tasks and internal concerns. However, this can lead to leaders overlooking what is arguably the most important part of any business – its revenue-generators, a.k.a. consumers (for B2C organizations) and clients (for B2B firms). Maintaining a customer focus is critical not only for a CEO trying to establish a positive public reputation but also with regard to keeping the business solvent. Becoming known for lackluster or downright bad customer service is one of the worst things that can happen to an enterprise – especially if an example of the company’s failings is posted on social media and ends up going viral. In contrast, an organization that delivers above-average service reaps the benefits in a variety of different ways, including high customer retention and referral rates and acknowledgments from watchdog organizations. How important is CEO reputation? A CEO eager to cultivate a stellar reputation should have a clear corporate vision, be able to inspire and motivate, behave honestly and ethically, communicate well, want to ensure his or her company is a good place to work, have a global business outlook, be able to be decisive and focus on the customer. But how important is a CEO’s reputation, anyway? According to the Weber Shandwick survey, extremely. A CEO’s reputation can make or break a company. 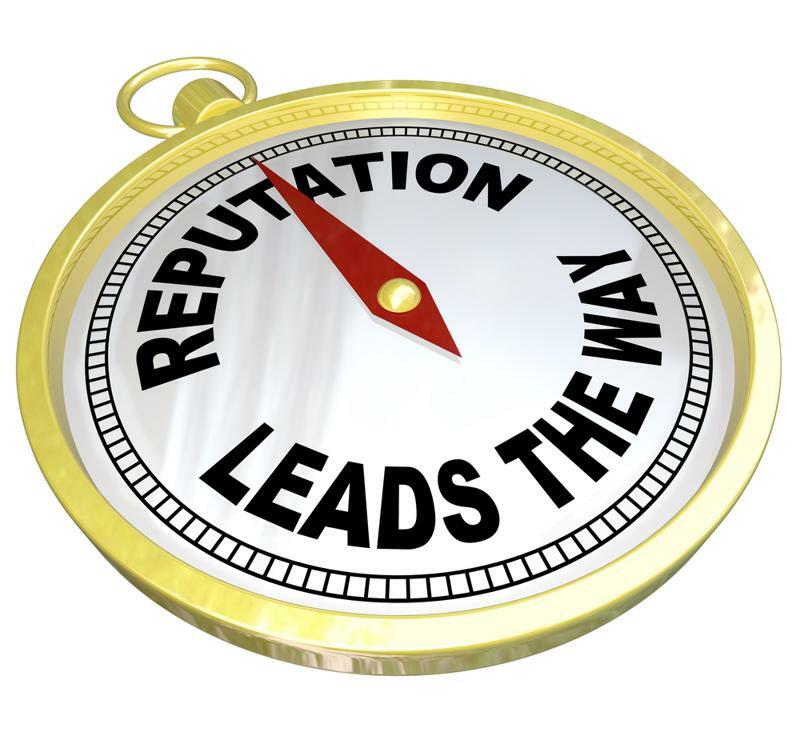 Nearly half (45 percent) of survey participants attributed their company’s reputation to the reputation of their CEO, while 49 percent cited CEO reputation as a factor that influenced how their firm was regarded “a great deal.” Additionally, respondents estimated that 44 percent of their organization’s market value was attributable to the reputation of the CEO. “This extraordinary interdependence between CEO reputation and market value demonstrates that leadership is a resource worth investigating in and cultivating,” the PR firm concluded in its report. For enterprises in the market for a new CEO, it’s hard to overstate the importance of a candidate’s reputation. Working with an executive search firm like Caldwell Partners can help companies ensure they make the right recruitment choices.